The following graph illustrates the approval rates for each type of loan over a five-year period. It shows that while the numbers varied in recent years the approval rates for home purchases are consistently the highest. 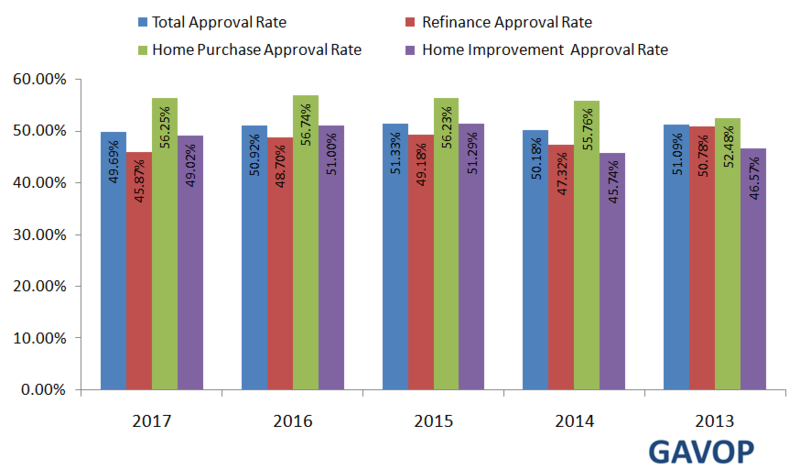 In 2015, home improvement approval rates surpassed home refinance approval rates by a significant margin. To provide an overview of the total amount of loans processed in Los Angeles, the following table compares total loan applicants with loan originations. In most cases, loan originations refer to all the steps taken by a lender, from receiving an application to the disbursal of funds. Among the studied years, 2013 reports the largest number of loan applications, while 2014 has the lowest. Overall, there has been a decrease in the total number of applicants from 2013 to 2017, resulting in a compound annual growth rate of -5.31 percent. 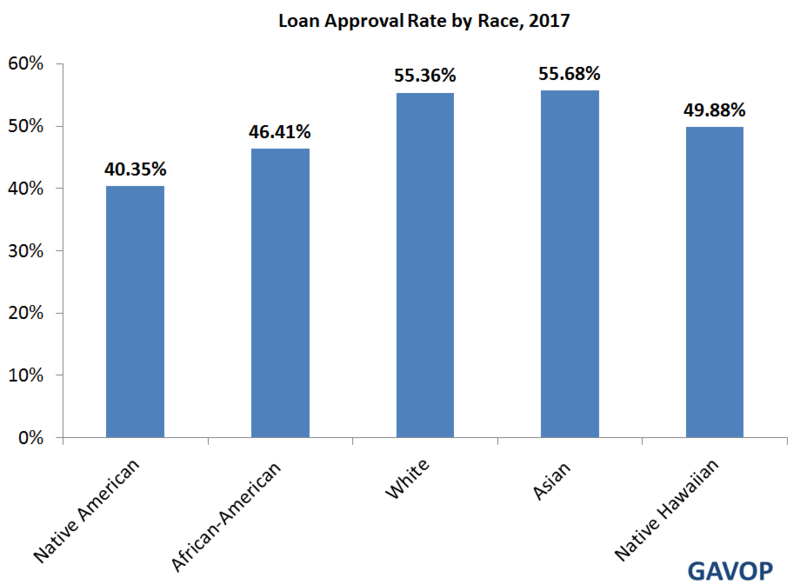 The following figure illustrates the rate of loan approval by race. The data show that a majority of the approvals are for Asians and Whites, while Native Americans have the lowest number of approvals. Among the Asian applicants in Los Angeles, 55.68 percent of loans were approved in 2017. This number was 55.36 percent for Whites, 49.88 percent for Native Hawaiians, 46.41 percent for African-Americans, and 40.35 percent for Native Americans.